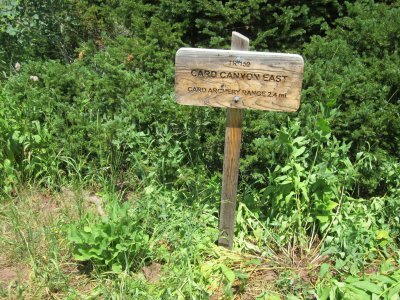 Although we did not do brushing on Card Canyon East since July 2014, Jane and Dave hiked the trail on 28 October 2015 to see how much work the Forest Service had done. 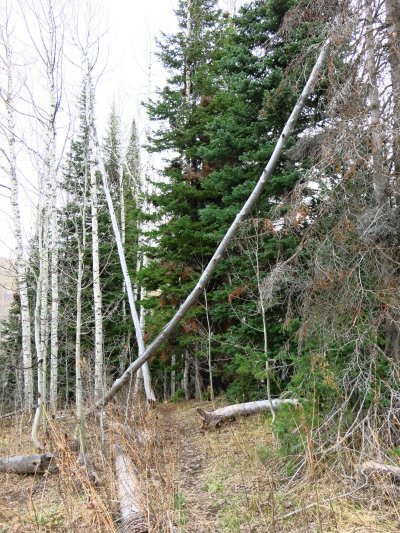 We found the trail corridor had been cleared of dead wood, snags and brush, from the archery range to the standing rock, a distance of about 2 1/4 miles. 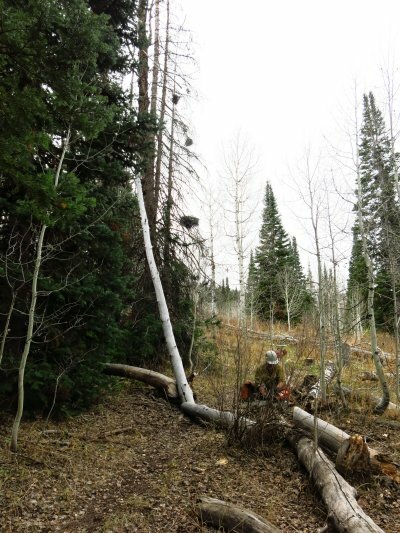 We encountered two Forest Service workers in the process "snagging" along the 0.8 miles section from the standing rock and the Logan Peak Road, but this section had not been "brushed". 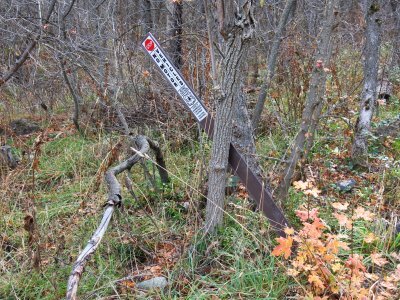 Sign vandalism has been an ongoing problem on this trail.. 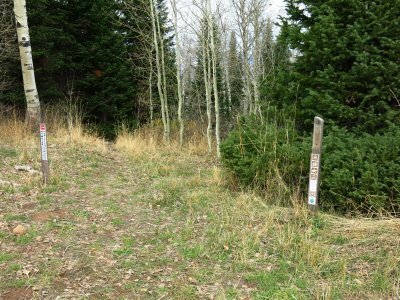 Trail Notes: It was a pleasure walking this trail now that the Forest Service has brushed most of it. 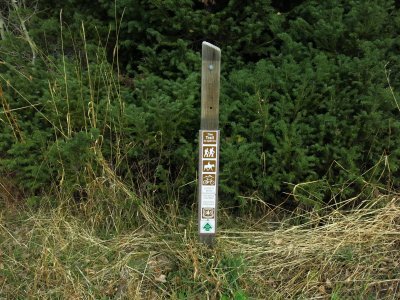 This should allow us to focus on specific trail improvements in the future, like minor trail realignment at trouble spots between the standing rock and the pond. Thanks to Dave W for narrative and photos.